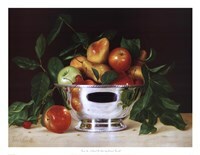 Patrick Farrell (Born 1940) is known for his fruit-trompe l'oeil fruit still life painting. He was active and lived in Wisconsin. 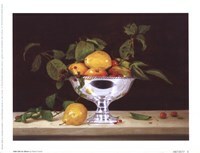 He was a self-taught painter who explored Magic-Realism through still life painting. He exhibited his works for more than 25 years, resulting in his having had more than 25 solo exhibitions. 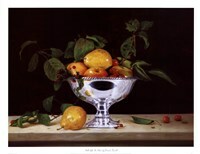 He was an Elected Artist Member of the Allied Artists of America, Inc., NYC and he was included in Who's Who in American Art - 1999/2000 - Millennium Edition. The self-employed painter lived and maintained his studio in Milwaukee, Wisconsin. Farrell learned the hard way. People wondered how a boy who was raised in a trailer park and who never went beyond the 8th grade in school grew into a renowned painter, breathing 3D life into canvas and oil with a skill that was totally self-taught. Farrell was a remarkable self-made artist against all odds. A longtime friend of his, Judy Ramazzini said that Farrell cultivated his artist's eye through department store displays and movie house imagery while playing hooky on the streets of Milwaukee. Farrell’s spirit of adventure made him to create an incredible life for himself. He was considered as a master of illusion, a super-realist whose style (trompe l'oeil) seems to deny the obvious fact that his works are 'really' spots of paint on canvas. Farrell died of congestive heart failure on 15 Feb. 2016 in Milwaukee aged 75. He left behind a rich legacy and his art continues to inspire many upcoming artists all over the world.